The Flooring Gallery located in the Southern Indiana town of Madison had a Duro Last roof installed 19 years ago over top of its existing metal roof. This process is better known as a Metal Roof Retrofit. This is when the Duro Last roofing contractor re-covers the leaking or failing metal roof with the Duro Last membrane without tearing off the old metal roof. 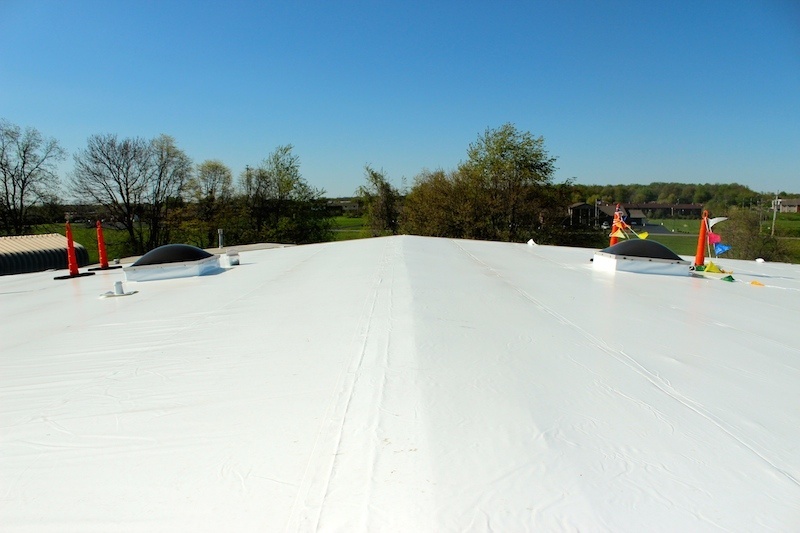 The amazing thing about this particular flat roofing project was that the Duro Last membrane installed was only rated for 15 years of service life. So finally as leaks in the flat roof began to appear and water threatened the inventory of carpet and tile, there was not doubt about which commercial roofing product to go back with. Indiana Duro Last roofing contractor Exterior Pro of Madison was awarded the project. Owner of Exterior Pro Aaron Perry had this to say "the building owner was very happy with the Duro-Last roof he had installed the first time around, we set out to make sure that his second experience was also a great one." Duro Last from the old and then begin installing the new roofing membrane without doing a tear off. by not tearing off the old roof and replacing the insulation a building owner can save over 50% off the total cost of the project. This can be done as long as the existing roof insulation isn't saturated with moisture. The 12,000 sq ft job took the flat roofing crew at Exterior Pro just 3 days to complete. 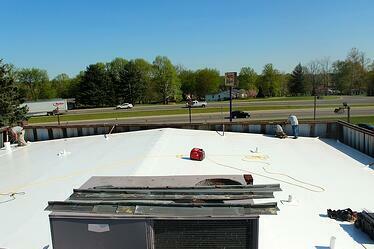 The roof received all new stack flashing, curb flashing around skylights and HVAC units and new two way air vents. New brown vinyl drip edge was also installed. During the entire process it was business as usual for the Flooring Gallery; Duro Last installs quietly and without harmful chemicals. The job was inspected by a Duro Last quality assurance and the warranty was issued for another 15 years. The confident building owner was happy with his decision knowing he will get his money's worth out of Duro Last. 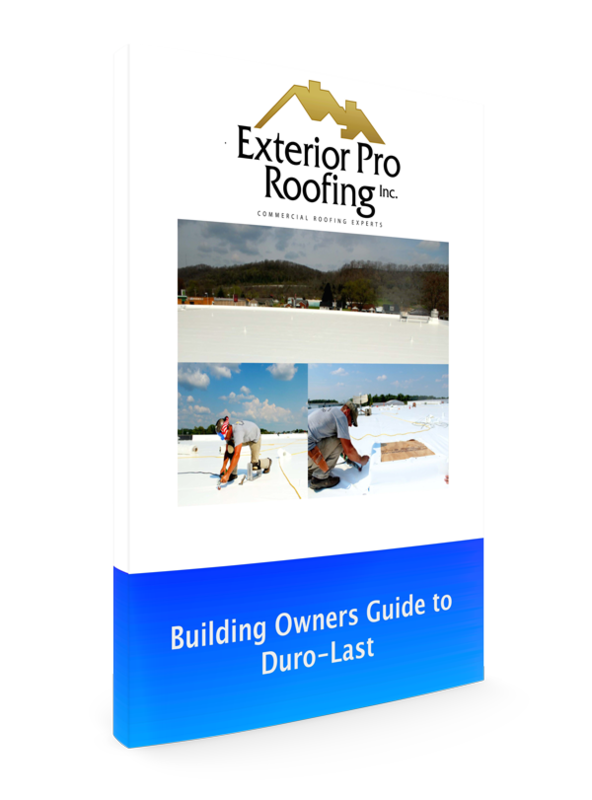 Learn about Duro Last Roofing and how it can save you on cost not having to tear off the old roof system.